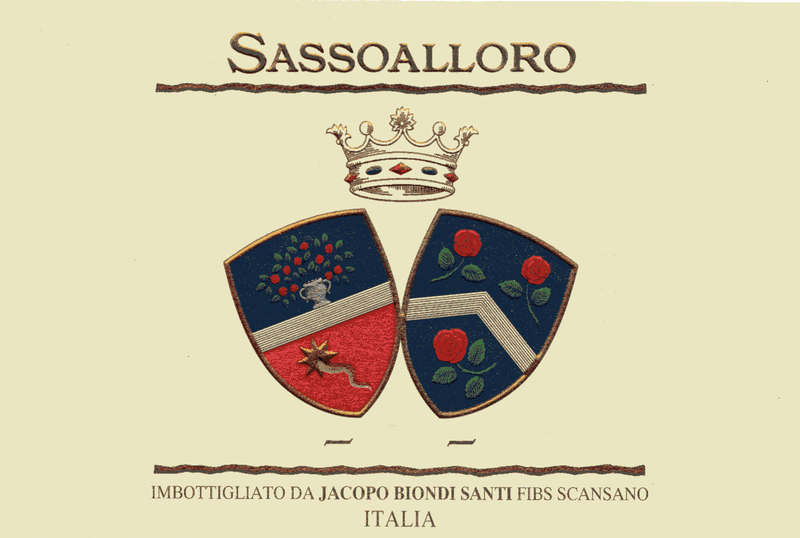 Winery: JACOPO BIONDI SANTI S.r.l. Sangiovese Grosso fruit with 14 months of barrel life creating an elegant, velvety quality. Violets on the nose, gentle tannins and a long, languid finish are the order of the day with this, the JBS estates flagship wine. The name “Sassoalloro” comes from a boulder of volcanic origin of extraordinary dimensions on which the centuries have created many legends. This wine is produced from a special selection of Tuscan Sangiovese Grosso treated very carefully in the fermentation and aged in wood barrels Tronçais forest. The wine has a brilliant ruby red color with violet tones. On the nose it is fresh, fruity and intense with noticeable sweet violet notes. On the palate it is gentle and velvety and elegant.